"New scenes" "New stories" I never read those Classic X-Men issues, so was that added new stuff any good and relevant, or just filler? Hey Marc, it was good. Written by Claremont and drawn by John Bolton. 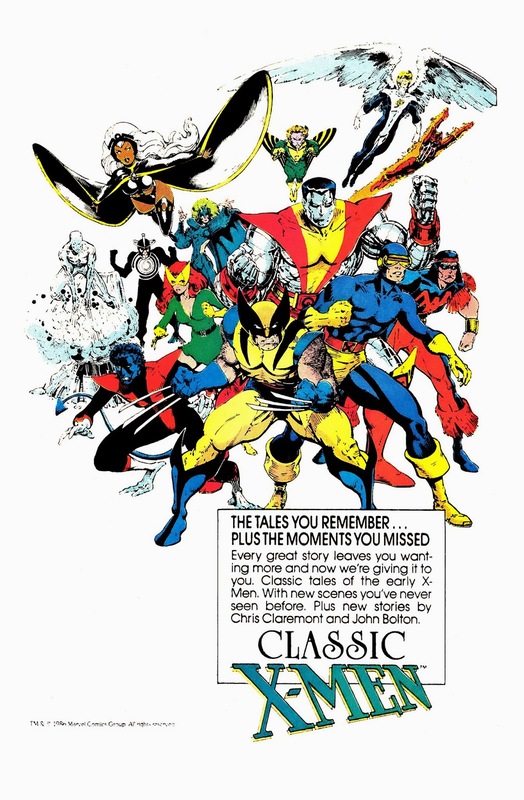 Keep in mind that the first handful of issues were written by Len Wein and the Claremont took over. I think this was Claremont's way of putting his own spin on the story of the New X-Men from their beginning. So true that those extra stories at the end were good, Jason. If memory serves me well, I think the back covers of the earliest Classic X-Men issues were drawn from those extra stories. Hey Kevin, you are correct. The first issue though had the extra content integrated into Wein and Cockrum's story. After that, they reprinted the entire back issue and added the new material at the end.